Sat in the lobby of the glitzy Mandarin Oriental, Kuala Lumpur during the AVSEC WORLD security conference earlier in October, International Airport Review was fortunate enough to catch up with Henrik Hololei, Director-General for Mobility and Transport, European Commission as we discussed the very importance of transport to a globalised world, its shifting nature in light of the attacks over the last year and what the future holds for airport and aviation security. Does transport have an inherent importance in terms of global development? Certainly, transport offers a lot of possibilities. On the one hand, it remains a very robust industry; its main purpose is essentially to connect people in business. However, on the other, without transport, people and businesses wouldn’t move and fundamentally, we realise how important transport is when we are deprived of it. Sometimes, it might not be a bad thing to have a reality check as we saw six years ago with the ash cloud. 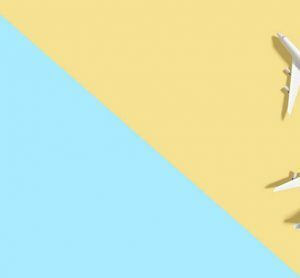 It made us ask ourselves: If planes aren’t able to fly and cargo isn’t moving, what does this mean for your everyday life? Transport is without a doubt hugely important though not without a political sensitivity that surrounds it. Mainly however, transport should be considered primarily as an economic driving force. Now onto matters of security. 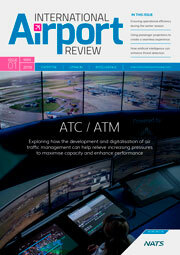 It seems that collaboration is the keyword when talking about an approach to improving airport and aviation security. What exactly does this mean for the creation of a global security network? 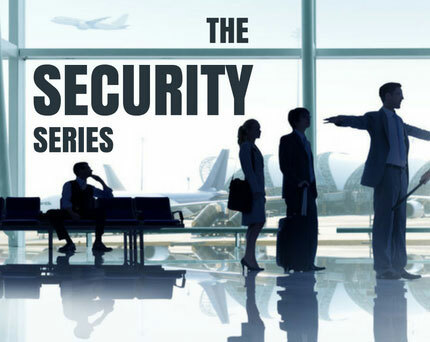 Firstly, AVSEC is an extremely useful event that brings the top people in aviation security together from around the world and it provides the perfect platform for industry leaders to discuss matters of security. I find it inspiring listening to others and learning from the speakers as well as participating in the networking breaks which grants a valuable opportunity to interact with these experts. Further to this, security is ever higher on the agenda especially if we compare the conference here in Kuala Lumpur to that of Dublin last year as many of the attacks, particularly those landside, have happened in the period in between. Brussels in particular, has changed the perception in our industry and aviation security is now considered, and rightly so, a global issue and much higher on the political agenda. The threats are global thus our response must be a global one of collaboration and cooperation. ICAO, as an international organisation, provides an extremely good forum for inter-communication especially after UN unanimously adopted resolution 2309 back in September that will give ICAO the mandate to do more for a unified progress. We now see an emphasis on capacity building and must crucially adopt the ‘No Country Left Behind’ motto. Especially in terms of security, we must follow the idea behind “you are as weak as your weakest link” approach, hence why nobody should be left behind. We have a robust system, but there is always room for improvement. At the same time we must be careful not to overdo it. In this respect everything has to be proportional and we must maintain a healthy flow of passenger and goods from an economic perspective. If the measures we put in place are disproportionate, we may see extensive disruption and this would certainly not benefit security or transport as a whole. Indeed, we saw this in Brussels (although understood in the circumstances) where we witnessed first-hand what might happen if we don’t adopt a risk-based approach using technology and collaboration between countries. And what does this mean for the European Commission’s role more specifically? It is now imperative that we remain ahead of the curve. We do have legislation in place with respect to aviation security that provides a basis for cooperation between member states, implemented in the aftermath of 9/11 and it will allow for the deployment of a European-wide approach where The Commission can liaise with the relevant authorities from member states as well as equipment manufacturers, airlines and airports. While this is excellent, what we now need to work out is how to achieve together a maximum level of security in a proportionate manner. While there is much emphasis on the landside aspect of security, there are many emerging threats such as that of cyber security. How big a threat does this represent? Threats are constantly high due to aviation’s high visibility thus it remains an attractive target for terrorism and has been like this for decades. As a result, we must employ a robust and international approach. I am very much convinced that cyber security requires investment and while many would say that we have protocols in place that are hard to penetrate, the harsh reality is that we cannot predict cyber attacks and they will undoubtedly have a massive effect. For example, we saw, not long ago, what happened to the big U.S. companies and their servers that opened up the sheer vulnerability of our digital systems, even at a time when the transport world is moving towards benefiting immensely from digital solutions. We have a responsibility to minimise this threat. In the context of ICAO, I believe that cyber security will very much be figuring more prominently in future and thus we need to cooperate and collectively come up with a procedural approach to the issue. 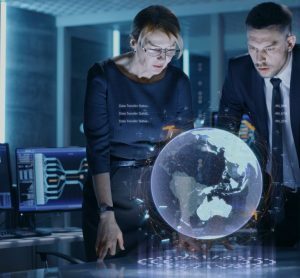 The current decision-making processes in place are not known for their speed and unfortunately the cyber threat is evolving extremely rapidly. 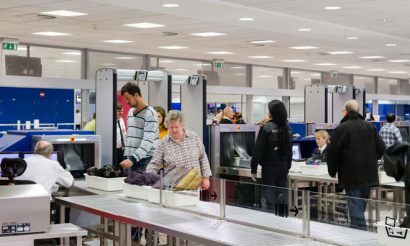 With seamless travel and passenger experience so high on the agenda for all parties in the industry, how do we balance this with the need for progress in aviation and airport security? This introduces a paradox – well as you say in Britain “you can’t have your cake and eat it”. Perhaps that best explains it! What I mean by this is that we now expect an extremely fast security check process whilst maintaining the maximum level of security that one can think of. Even though the two should not be mutually exclusive, in reality, it is very hard to put those two together successfully. In my opinion, this will certainly depend on technological solutions. While many have tricks up their sleeves as it were, we must ensure that we have the correct certification in place. 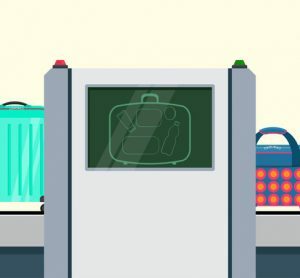 The future should look like a person walking into an airport and hidden sensors conduct a full scan without the person realising, and this scan would then define if the individual needs further screening. This process represents the maintenance of a high level of security with minimum disruption to the passenger. Such solutions however, need investment and it might take a while to reach this point. With the current system however, we are seeing the slogan “when there’s a will there’s a way”. Many were expecting huge queues at TSA checkpoints, for example, during the summer in the U.S. However, it was extremely well-organised, largely thanks to Peter Neffenger of the TSA. So you would advocate solutions that might include the use of biometrics? We have to remain open to all possible solutions and biometrics obviously represent one of these potential solutions. Be it efficient number plate recognition on a car, to face recognition on a human, we must work to enhance passenger satisfaction. These kinds of new methods that act prior to the passenger’s entry to the terminal are very important. So in terms of technological solutions, many cite the sharing of information and data as a crucial part of this response. 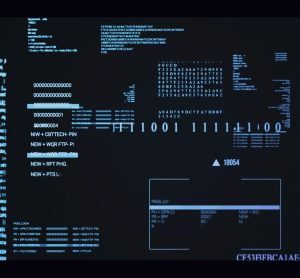 Do we see a danger in the transfer of such information? We see a wide differentiation in perception around the world. Europeans, for example, are very fearful of data sharing yet expect the highest level of data protection which is then contradicted by the paradoxical, voluntary relinquishing of their own data every day on smartphone apps for example. The European legislative framework consequently provides the highest level of data protection and European expectation will not change in relation to how we want our information protected. It is thus a question in this continent [Europe] of how security systems will adapt to this expectation. After having spoken to Henrik, it is clear that the European Commission understands too that collaboration between all parties and interests will be fundamental to finding a universal solution to a universal problem, but crucially a correct and proportionate regulation of new technologies and solutions will too play a key part in the future of air travel. If you agree with International Airport Review in that matters of airport and aviation security are of the utmost importance, we suggest you register your interest in Airport IT & Security 2017, Vienna as we aim together to drive forward progress on this extremely pressing issue.